A movie about people creating a movie. 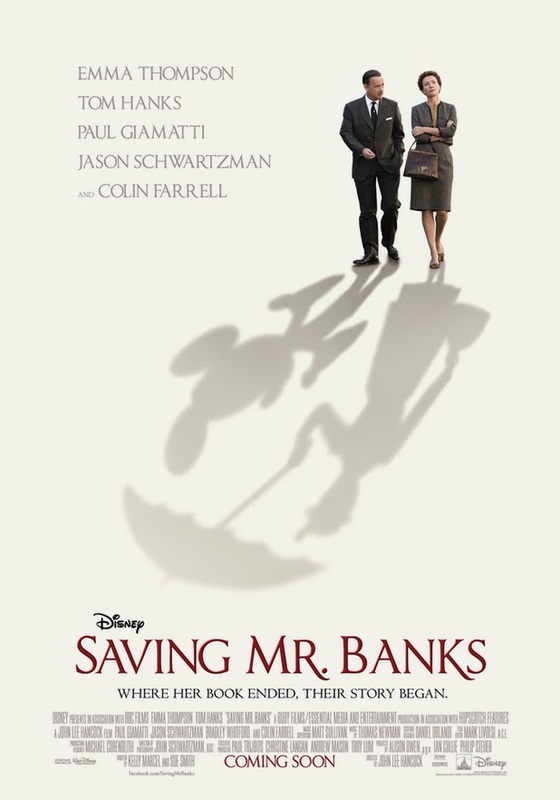 Saving Mr. Banks is the movie you want to see this holiday season. It has something that everyone likes. It will keep you entertained throughout the entire movie. This movie is about Walt Disney tiring to create the beloved Mary Poppins movie. Emma Thompson plays P. L. Travers, who was the creator of the beloved Mary Poppins. Emma Thompson is a true character in the movie. She plays a great icy side that you will understand and appreciate in the end. 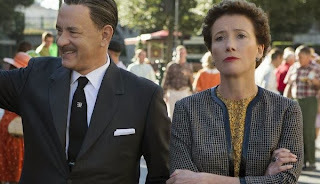 Tom Hanks was meant to be Walt Disney. He not only looks like him, he also has a great attitude that will dial in as you will believe he is Walt himself. It is hard to pick who is the main actor to the support actor with both Tom Hanks and Emma Thompson. I would say its Tom Hanks who will also out act anyone. If you are the type to go out and see a movie on Christmas or for the Holiday season, you won't want to miss this movie. It will bring the whole family together in a way that only Mary Poppins could do. make sure you stay after the credits for a scene from the actual time period of Walt Disney. During the flash backs you won't see too much of the nanny. Seems odd that you don't see the real nanny until the end and shes not even in the movie. Also when Walt Disney and P.L. Travers were in DisneyLand, Walt looked up at a window, and then P.L. Travers did the same. They never told us what that was about or meant. They should have explained.